A house with a leaky roof can cause expensive problems. 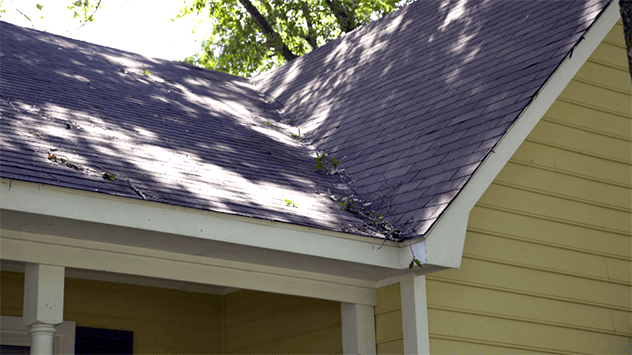 Here are three common roof issues and what you can do about them. The roof is one your home’s most important parts — after all, it covers your head and protects you from the elements. That’s why it’s important to understand common issues that can undermine your roof’s protection and know when it’s time to repair the roof. Replacing a composition shingle roof can cost as much as $8,000 for an average-sized ranch home, but sometimes, simple repairs can solve small problems. Here are some issues that commonly arise with the roofs. Damaged shingles don’t necessarily have to be completely replaced, depending on their condition. 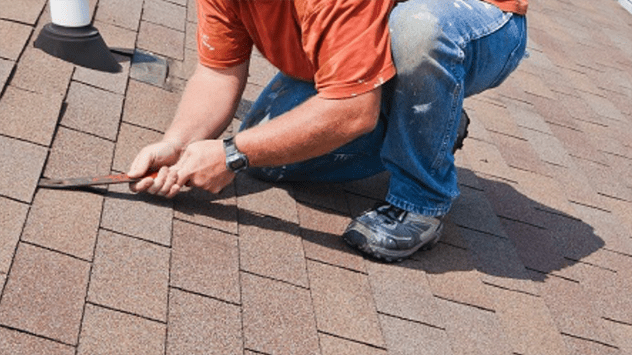 Sometimes, shingles may go missing due to strong weather conditions, wearing away of the protective surface, or the activities of animals, to name a few examples. In such circumstances, some shingles may crack or break, and fall apart or go missing. You can replace the shingles with new ones or cut the shingle into sections and replace a single tab. Removing fallen snow, branches and other debris you notice will help protect your shingles. Replacing a damaged asphalt roof shingle is easy if you don’t mind working on the roof. Just insert a putty knife under and above the damaged shingle to break the seal holding it down; use a flat bar to pry up the damaged shingle and remove the nails, being careful not to damage the shingle above it; remove the entire piece; slip the new shingle in place; and secure it under the shingle above with 7/8” roofing nails. Once the damaged shingle has been replaced, lift the tab and apply a dab of roof cement to seal the shingles to the roof. 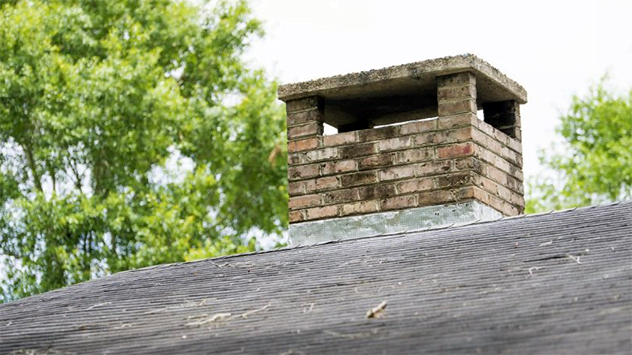 Flashing can separate from the chimney, letting in rainwater and potentially causing major damage. Flashing is the impervious material that prevents water from penetrating space between another object and the roof. Have you noticed the metallic or plastic strips that line the bottom of a chimney or surround a skylight? That’s flashing. While beneficial intact, flashing around chimneys can separate from the brick, allowing rainwater to leak inside the house. Danny Lipford demonstrates how to secure a tarp to a storm-damaged roof. Following a severe storm, falling tree limbs, or another cause of roof damage, you can minimize water damage before long-term repairs can be made. Just cover the damaged part of the roof with a tarpaulin. Find the source of the roof leak; stretch a tarp flat on the roof; extend the top edge of the tarp over the ridge of the roof; position several 1-by-2 pieces of lumber on the tarp, running vertically, down the slope of the roof; and attach the 1x2s through the tarp and into the roof decking with eight penny nails about every 16 inches. Use felt roofing nails with a plastic washer to help secure the tarp to the roof. For complicated repairs, you should call a professional roofer. When the roofer arrives, he or she will first reframe your roof and then will install a sheathing layer over it. If the hole is small, he or she may decide to cover it with caulk. But that’s a temporary solution too, as moisture can still escape from caulk and aggravate the condition at times. Be careful while repairing roofs — it can be dangerous! If you are not sure that this is a task you can handle, it’s better to hire workers. They can analyze the damage of your roof and can determine whether the roof needs replacement. Asphalt shingle roofs can last up to 20 years and wood shake roofs can last up to 30 years, but metal roofing — which can take on the look of shakes or shingles, can last up to 50 years. It’s important to consider your household budget, the roofing’s materials, and its expected lifespan before purchasing roofing. And it’s necessary to make repairs or hire someone for the job, as soon as you notice problems.